The keynote speaker for the day was Lieutenant Governor Matt Pinnell, who ran his campaign with a focus on fostering diverse community and building a place in which future generations will want to live (two things entrepreneurs often play a large role in). 1. Increasing entrepreneurship education in schools. Pinnell says he plans to encourage the implementation of entrepreneurship programs and classes in high schools and tech colleges, teaching students the basics principles of running a business at an earlier age. He says these programs will cut out a bunch of the “figuring it out process” of starting a business and can eliminate some of the critical mistakes that new business owners initially make. 2. Boosting tourism marketing spending. Pinnell believes “tourism is the front door to economic development and the future of entrepreneurship in our state.” And to improve Oklahoma’s tourism numbers, he thinks the state needs to focus on some rebranding. Currently Oklahoma only spends $2 million dollars each year on branding ($0 of which is spent marketing the most famous road in the world- Route 66). Compare that to Texas’ whopping $41 million. Pinnell’s theory is, if Oklahoma can draw more people to visit the state, some of those people may stay- giving entrepreneurs an opportunity to hire the best people and expand their businesses more quickly. Pinnell says he also plans to give entrepreneurs a say in how Oklahoma is marketed by collecting 100+ of the best minds to develop new branding strategies. This will entail tapping into local expertise for promotional campaigns, graphic design and other branding elements. 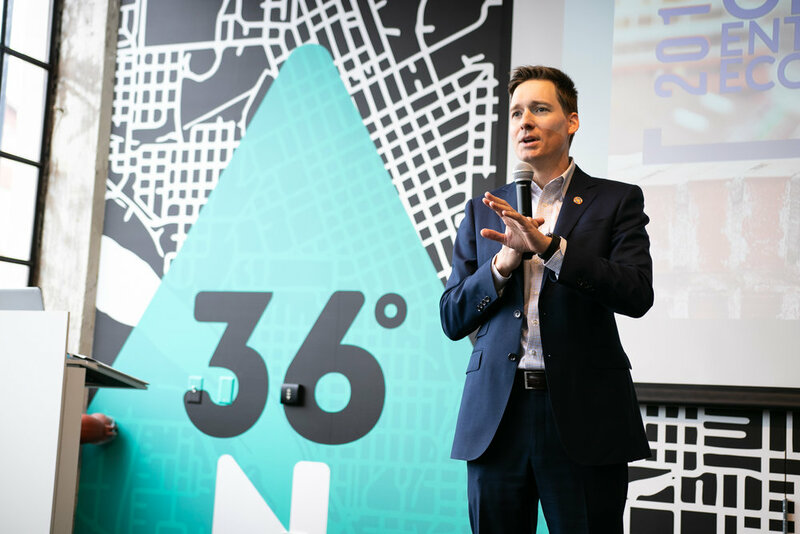 At the end of the day, Pinnell says Oklahoma’s entrepreneurial community deserves support from state and local representatives, and he says he and his team will continue to work to make Oklahoma a place where innovative minds and business owners prosper.